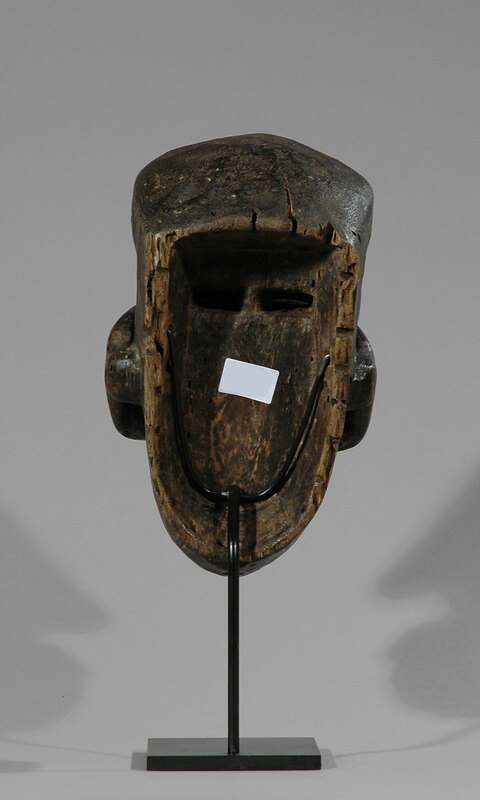 This is a fantastic Gre masks from the Bete people in Africa’s Ivory Coast. 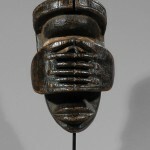 It shows all the mystery and subtlety that characterizes Bete masks. The well-balanced form and a fine old patina that shows sign of frequent use make it a very stunning display piece! 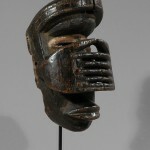 Usually, Bete masks are far more abstract than this mask. The face is partially hidden behind by two hands, whose fingers appear very similar to a skeleton ribcage and the facial features are quite distinct. 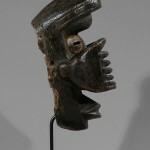 The mask was used in masquerades performed during burials at the end of mourning periods or in honor of the arrival of important dignitaries. 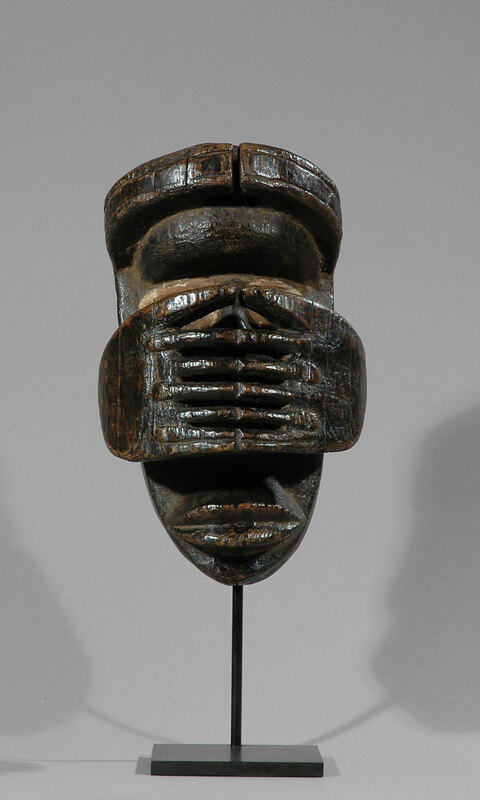 However, there is an intimidating quality that pervades this work, no doubt due to the fact that this mask was clearly meant to be and has been worn and danced during ritual ceremonies. 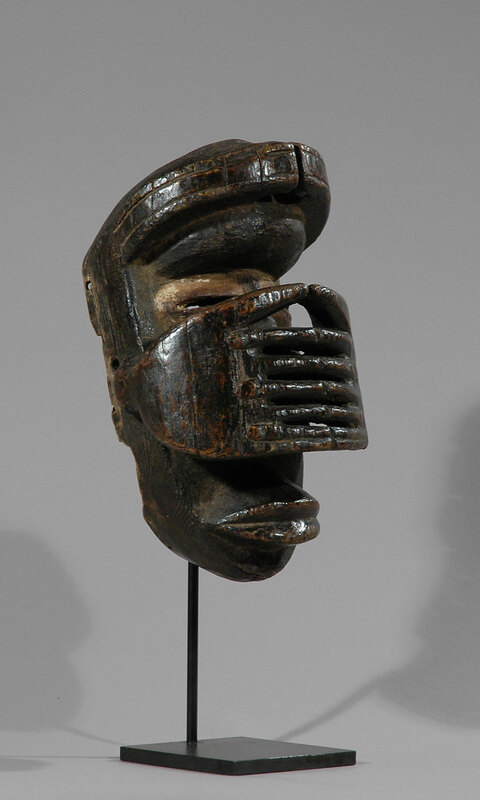 Earlier this mask could also have been worn in combat to frighten the enemy, but today it is also used to welcome visiting dignitaries. 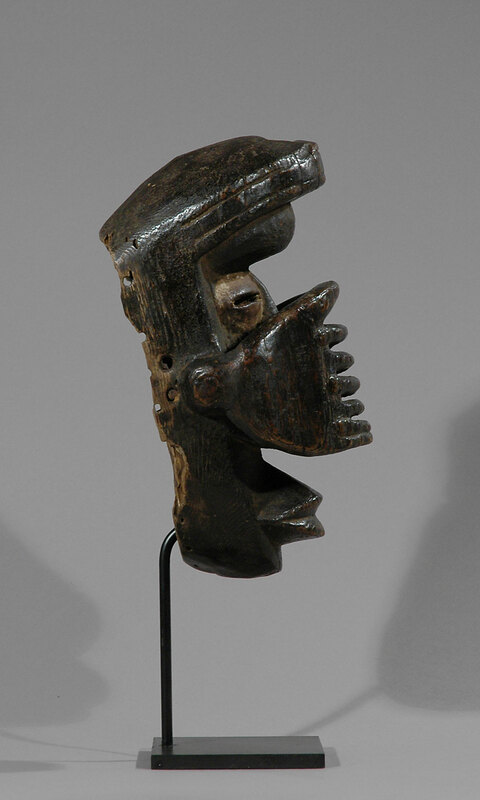 The same artistic features that once put fear into the heart of the enemies now command the respect and admiration of important guests for the cultural traditions of the Bete tribe. 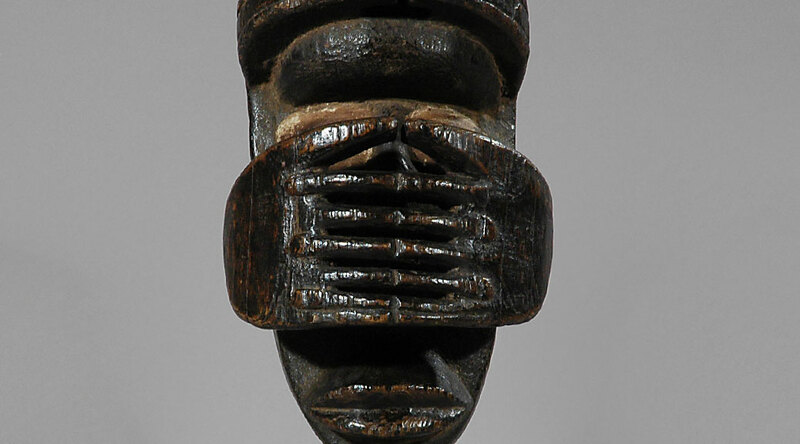 Provenance: From a private Belgian collection. 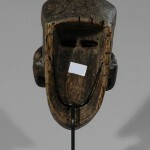 The mask was collected, in situ, in the seventies.